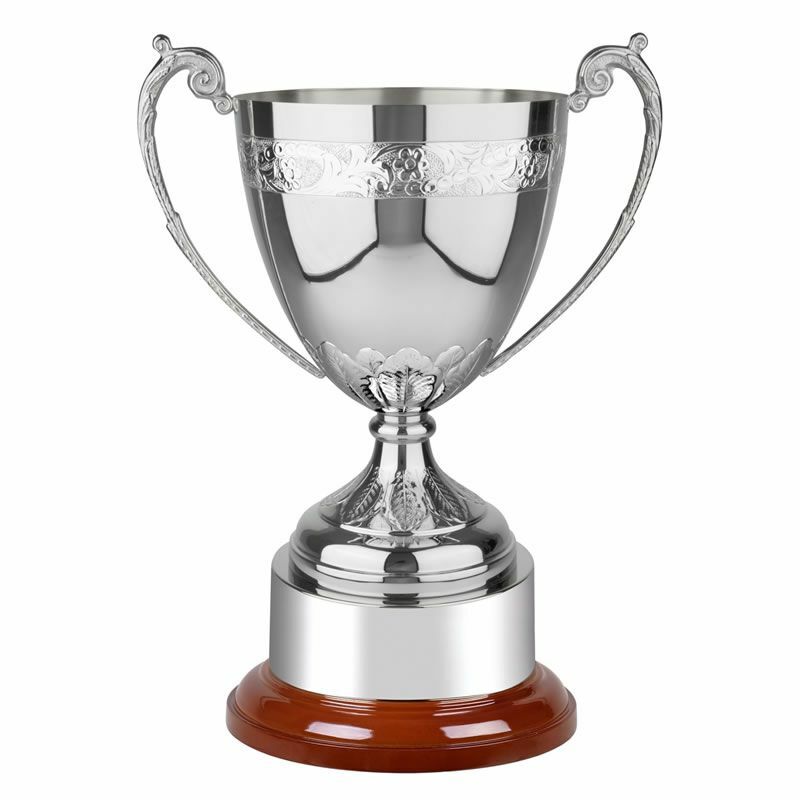 These superb 'Buckingham' trophy cups have extensive handchased decoration on the body and stem. Handmade in Britain, they have a non-tarnish nickel plated finish and come mounted on a circular rosewood finish base. They are supplied complete with a plinthband, ideal for creating perpetual awards. Stands 10.25in / 260mm tall, offered with engraving options for both the body and/or plinthband.